I’ve not talked about Zara for a while and that’s because I kind of went off the brand in the summer – I don’t know entirely why but I just found each time I went in store I felt totally underwhelmed. Now for AW18 I now feel the exact opposite, in fact this week I could have quite easily bought half a dozen items without giving it much thought – and as I left the store (empty-handed) well I want to make my purchases considered ones, I wondered what’s changed? 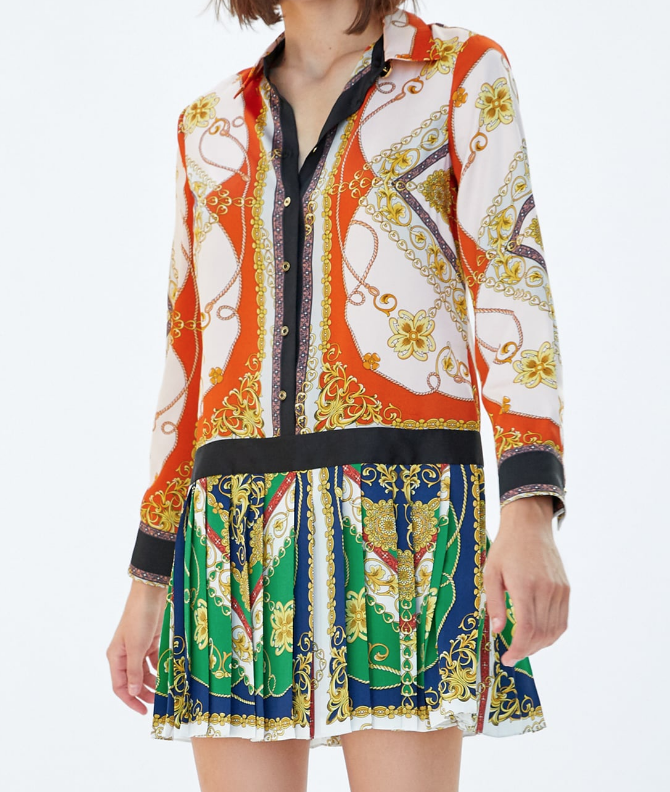 I think it’s all the print – I’m loving it and particularly the Chain Print, a design typically associated with Versace, Hermes and Gucci – and I can’t help but notice just how enticing it is! 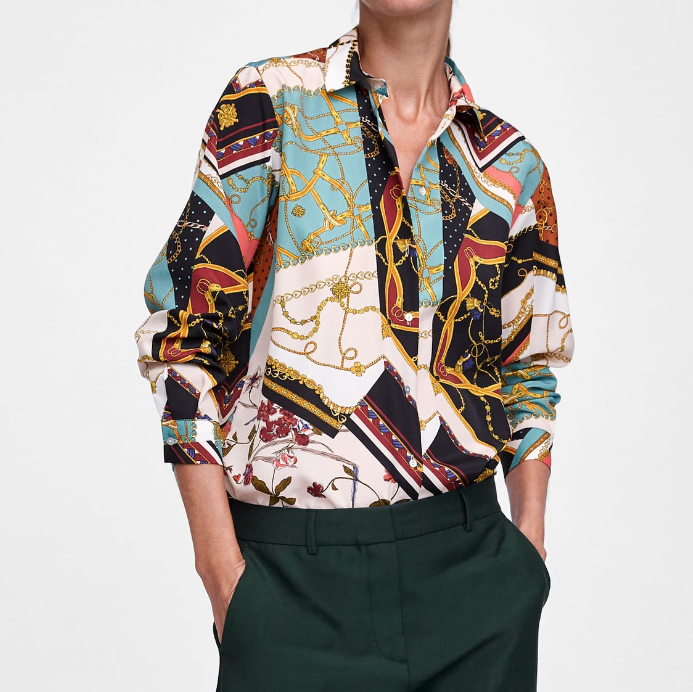 I feel there is something for everyone; whether that’s a particular colour way or if you don’t want to go a full maxi dress then there are lots of blouses and scarves to get your hands on, and you can do it all under one store – Zara. 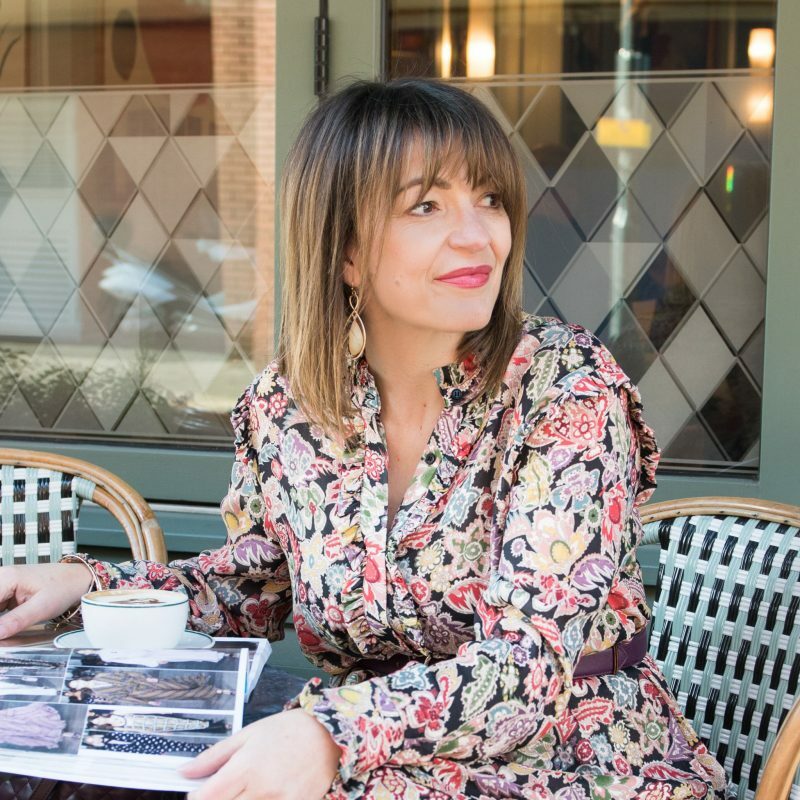 It started with this dress that I wore to Style St Albans, and I plan to wear it again this week to Stylist Live – these particular colours suit a dark Autumn like me with the gold, green and orange. 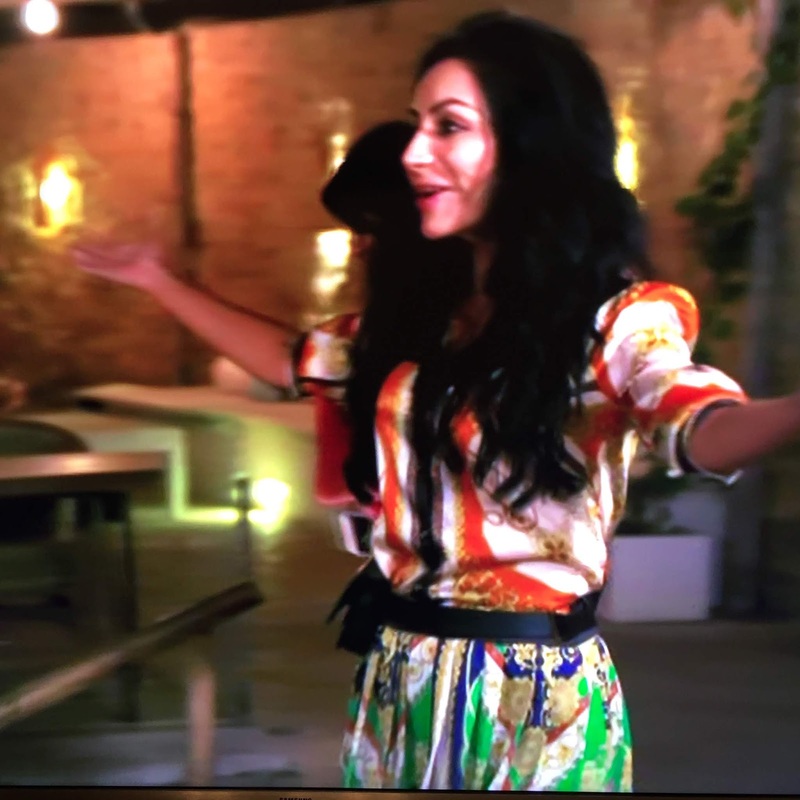 #twinnningiswinning – Did you see Perla Navia wearing it on this week’s episode of Real Housewives of Cheshire? 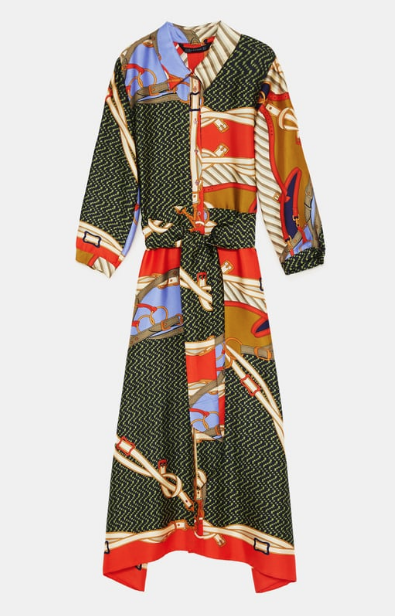 Proving this print and faux silk is ideal for holiday season too. Photo taken on my iPhone whilst on telly – hence the poor quality! I’m wearing XL for a size 14 fit (it comes up slightly big but I need that for the larger bustline, if you are smaller in the bust then drop a size). And then later in the episode we spot her in this little number (I wish I have the legs for it, but sadly not!) – If YOU do then buy!!!! I love this mini dress. I’m loving this midi dress and it will be on my radar on my next Zara shopping trip! I feel I could wear this more for everyday and I like the midi length, a slightly easier length during winter months with long boots. I’m wearing a size large here which fits well considering the other dress I needed XL. Add this to all your basic tops for instant glam! Depending on your dress code for work, I personally would be tempted! Just add long boots. Easy to adopt into your wardrobe this will pretty much go with trousers, jeans and skirts. Pick a neutral from the print and work it in with that, this should give you plenty of styling options. Add statement jewellery to elevate this look. If you’ve got great legs, then print will really work for you and these skinnies are a great place to start! Ideal for Winter wardrobe and perfect for a night out or for daytime with a fabulous knit! An item that is very hot this season, and I will be covering this off more later in the month. But sticking with chain print, how glam is this for night out worn simply with black trousers or skinny jeans. Love it! 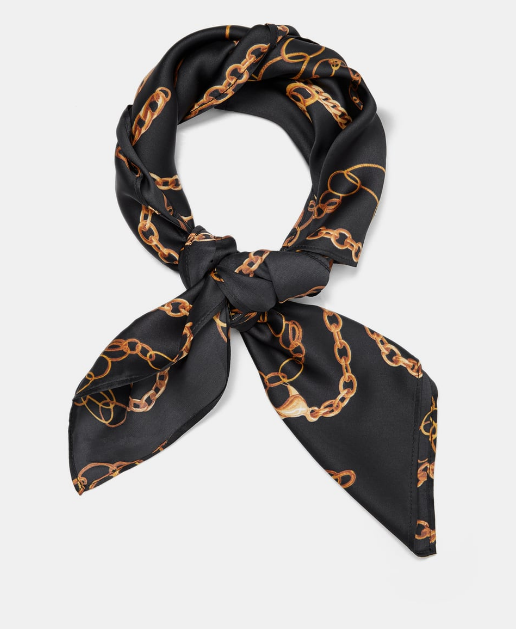 Love the chain print but don’t necessarily want to wear it on… or perhaps the print is a little to big for your petite size, then invest in a scarf. There’s quite a few in the Zara collection. You can wear them in your hair, around your neck or if you opt for one of the smaller ones you can tie it to your bag. Thank you to Emma Collins of Emma Collins Photography for filming me on the front row of Style St Albans. 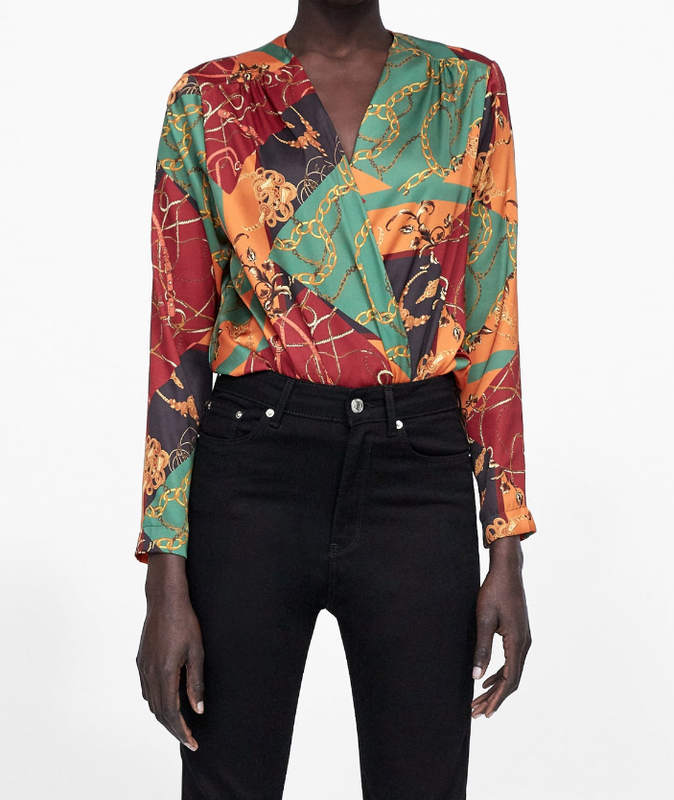 The post CHAIN PRINT BY ZARA AW18 was on Loved by Lizzi first.